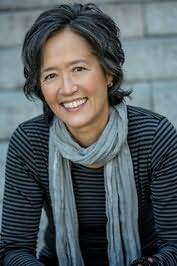 RUTH OZEKI is an award-winning filmmaker and novelist, whose work has been characterized by U.S.A. Today as "ardent and passionate...rare and provocative." Her first novel, My Year of Meats, was published in 1998 by Viking Penguin and has garnered widespread glowing reviews, awards, and a still-growing readership. "Utterly magnificent - gripping, suspenseful, funny, and so full of heart." "Phenomenal. A transcendent, cross-cultural and cross-planetary journey into the mysteries of space and self. Howrey's expansive vision left me awestruck." "Before Everything is a riveting, timely story that explores the unsettlingly beautiful, emotionally charged landscape that is revealed when old friends embrace what they have never before admitted: the limits of mortality and the boundlessness of friendship." "Stunning and unforgettable. . . filled with voices that resonate and haunt. An intimately personal tale about family, self, and the risks we take to care for the ones we love." "Convenience Store Woman is a gem of a book. Quirky, deadpan, poignant, and quietly profound, it is a gift to anyone who has ever felt at odds with the world - and if we were truly being honest, I suspect that would be most of us."